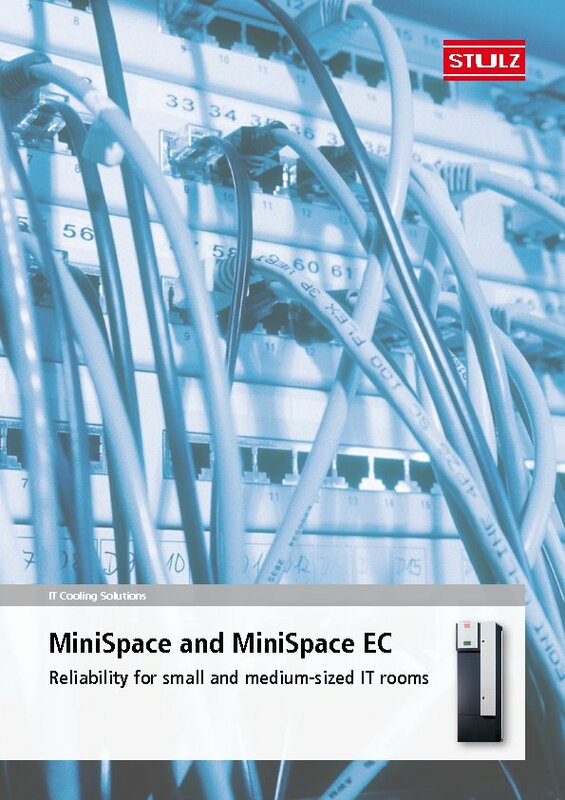 If you need precise, reliable and cost effective air conditioning for small equipment and server rooms, the MiniSpace EC series is an energy efficient and long-lasting series that fits the bill. The units require little floor space, and their compact size means they can be integrated in existing server rooms without problem. The Eco-Cool option enables Direct Free Cooling with outside air and achieves energy savings of up to 90 %. "If you need to dissipate heat loads safely, reliably and efficiently, the MiniSpace EC is just the right product for you. With the MiniSpace EC, you get the same high-quality precision air conditioning technology as in the air conditioning of large Data Centers, in your small room."